Each year we publish our annual list of the best in Black cinema. This list is unique in that it assesses each film not just how good it is as a film, but how good it is for the Black community in general. This list is compiled by prominent film critic and AALBC.com contributor, Kam Williams. What was our reviewers critical evaluation of the film (how many stars was it given)? How strong a showing did the film have at the box office (how much money did it make)? What was the make up of the cast (was there an all Black cast or one or two Black actors in prominent roles)? Was there a Black director, producer (were Black professionals instrumental behind the scenes)? How positive were the images (does it support the Black community in a positive way or does it reinforce negative stereotypes)? 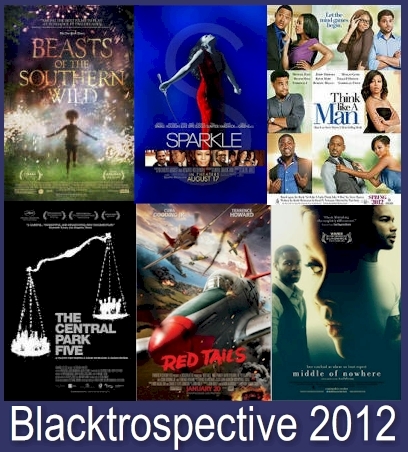 As a result, you will find a film like Think Like A Man, which was given 3 stars, ranked higher than Flight, which was given 4 stars, on our list of “Best Big Budget Black Films”.